"Spirituality is not religion. It is a path for us to generate happiness, understanding, and love, so we can live deeply each moment of our life. The aim of Bioenergy Healing is to adjust and balance the Biofield, to achieve better - energetic, emotional, mental, spiritual and physical health by restoring and balancing bioenergetic information. Bioenergy healing works to optimize overall health and doesn't focus on curing disease, but awakening the body's ability to heal on all levels. Bioenergy Healing is gentle, non-invasive, medicine free, sustainable and the safest way to promote better health. This method is a simple but powerful way to achieve better overall physical, emotional and mental health, whether you are addressing pain, emotional distress, insomnia, digestive distress or any bodily dis-ease, Bioenergy can help. A Bioenergy Healing session takes 15 to 30 minutes and is offered four days in a row, allowing the physical body to "catch up" with the energy body and a repetition of the same process magnifies the abilities of the body's self-healing potential. Depending on the individuals level of health and their desired goals, it can take one, to several session courses to address their concerns. Then because nobody lives in a vacuum, but in a stress filled world, regular periodic courses can contribute to maintaining good health and wellbeing. As quantum physics states, Bioenergy can be practiced a millimeter away or 5,000 miles away from the client, so anyone, anywhere can take advantage of this method of healing. Distance does not affect the efficacy of this method of healing. Want to learn more about Bioenergy Healing before you commit? 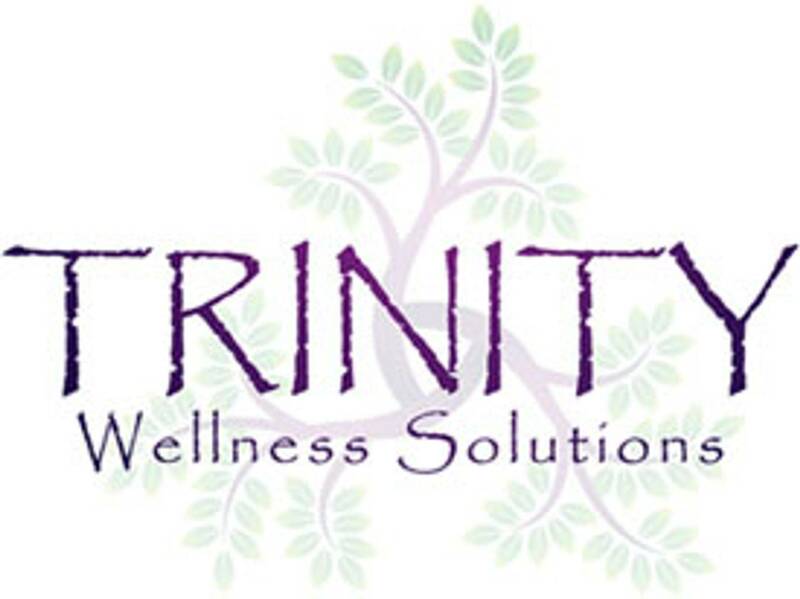 Come to Trinity Wellness Solutions "Healing with Bioenergy" event here. Bioenergy Sessions are offered in office and by Distance. EFT is a powerful healing method based on research showing that emotional trauma contributes greatly to dis-ease. Negative emotions that have not been expressed and released are actually stored in the body's tissues and will continue to adversely affect health and well being until a way is found to release them. Clinical trials have shown that EFT is able to rapidly reduce the emotional impact of memories and incidents that trigger emotional distress. Once the distress is reduced or removed, the body can often re-balance itself, and accelerate healing. You can make enormous strides by introducing EFT into your coaching or healing process (whether you are a professional or a client). Instead of taking months or years using conventional "talk therapy," EFT often clears old issues cleanly and thoroughly in one or two sessions ... and sometimes less. We label these near-instant results "one minute wonders." Once you have seen how well EFT clears out emotional debris, you might notice that physical ailments start to fade. Headaches, insomnia, back pains and other discomforts may reduce or vanish as emotional issues improve. Everyday stress may take less toll on your system once you have EFTs potent stress-reduction tools at your disposal. You can apply EFT to just about everything. You use the same basic procedure for your fear of public speaking as you do for improving your golf score. EFT is used successfully for many emotional issues, including fear, trauma, depression, and grief. The reason it works for so many different issues is that there is often an element of emotional stress in all of them, and that's what EFT works best on. Watch this video by EFT Founder Gary Craig. EFT Sessions are offered in office, by phone and online via Skype / Zoom / FaceTime. Want to learn more about EFT before you commit? Come to Trinity Wellness Solutions "Healing with EFT" event here. Through Holistic Nutritional & Lifestyle Coaching you will learn about your metabolic type and what foods are best for your individual needs, you will learn how to identify problem issues and roadblocks interfering with successfully reaching your goals. Using Nutrition and Lifestyle questionnaires, Muscle Testing and other means of assessment, your daily habits are examined to find out what you are doing right, what needs tweeked and what changes need to occur to best optimize your health. More now, than ever before, our lives include many, many external stressors, one of which is.....readily available, man made, non-nutritious "foods." Consuming these "foods" will then stress the body in numerous ways, inhibiting and weakening our immune system and setting up the internal conditions for disease. One on one coaching will support you in gaining insightful tips for sourcing, preparing and enjoying your relationship with food. Eating nutritious, abundant and organic foods brings vital energy to our systems, building a strong, beautiful body and bringing it into balance. Insuring that you supply your body with its preferred fuel assures that you have the necessary building blocks of health. I have methods that can not only assess which foods are hurting your chances of good health, but which foods will allow your body to heal from the inside out. Personalized coaching with personalized recommendations are the hallmark of success, you will NOT be subjected to another cookie cutter dieting approach. The emphasis is on long term changes for long term results. Next we look at your movement patterns. The proper exercise/movement is vital to bring your body into balance and health. To much exercise can stress your system and actually hinder your results. The wrong kind of movement can cause injury and setbacks. Exercise assessments are performed to find the perfect match for your exercise program. Because no two people are alike, through education, a little experimentation and lots of support, you will find what works for your individual needs as we look at your stress levels, sleep patterns, digestive issues as well as your mental and emotional beliefs and attitudes. Together we will determine just what is keeping you from experiencing optimum health and vitality. Once this information has been gathered, a personalized program that addresses each of these areas is designed, together we decide on the best ways to implement the positive lifestyle changes easily and seamlessly into your life. This is the best way to lay down a healthy and strong foundation for achieving whatever else you want in your life. Good health starts with the basics! Holistic Health Coaching Sessions are offered in office, by phone and/or online via Skype / Zoom. BodyTalk is a simple and effective holistic therapy that allows the body's energy systems to be re-synchronized so they can operate as nature intended. Each system, cell, and atom is in constant communication with each other at all times. Through exposure to the stresses of day-to-day life, however, these lines of communication can become compromised or disconnected, which then leads to a decline in physical, emotional and/or mental well-being. Reconnecting these lines of communication enables the body's internal mechanisms to function at optimal levels, thus repairing and preventing disease while rapidly accelerating the healing process. In this way, BodyTalk stimulates the body's innate ability to balance and heal itself on all levels. BodyTalk can be used as a stand alone system for many chronic and acute health problems, or can be seamlessly integrated with any healthcare regimen to increase its overall effectiveness. BodyTalk's major assets are its simplicity, safety and the speed of results. As quantum physics states, energy healing can be practiced a millimeter away or 5,000 miles away from the client, so anyone, anywhere can take advantage of this method of healing. Distance does not affect the efficacy of this method of healing. BodyTalk is offered in office and by Distance. It is believed that many illnesses are caused by mental and emotional excesses. These emotions use up qi, or life force, and cause stagnation in the channels and organ systems, which cause you to get sick. For example, depression can cause stomach ulcers and indigestion. Anger will cause the liver to malfunction. Sadness will cause compression and tightness in the lungs, and fear can disturb the normal functioning of the kidneys and bladder. Chinese qigong practitioners therefore realized that if you want to avoid illness, the first step is to balance and relax your thoughts. This is called regulating the mind (tiao xin). When your mind is calm and you are emotionally neutral, your qi will automatically regulate itself and correct imbalances. The main purpose of the qigong style I teach is to first gain mental and spiritual calmness, peace, and balance. With this mental balance, you can then engage in moving exercises that maintain the smoothness and balance of the qi circulation.This form uses both still meditation and moving meditative exercises. 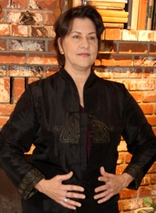 Qigong is offered in person at an agreed upon location. Reiki is a simple, natural and safe method of spiritual healing and self-improvement that everyone can use. It has been effective in helping virtually every known illness and malady and always creates a beneficial effect. It also works in conjunction with all other medical or therapeutic techniques. As quantum physics states, energy healing can be practiced a millimeter away or 5,000 miles away from the client so anyone, anywhere can take advantage of this method of healing. Distance does not affect the efficacy of this method of healing. effects and promote recovery. Reiki Sessions are offered in office and by Distance. As an Energy Medicine Practitioner, Regina Cunningham does not diagnose, prescribe, or advise about any medical condition or treatment. Energy therapies are NOT a replacement for conventional medical treatment offered by physicians. Always consult with your doctor about any symptoms that may require diagnosis or medical attention and before adjusting medication or course of treatment.